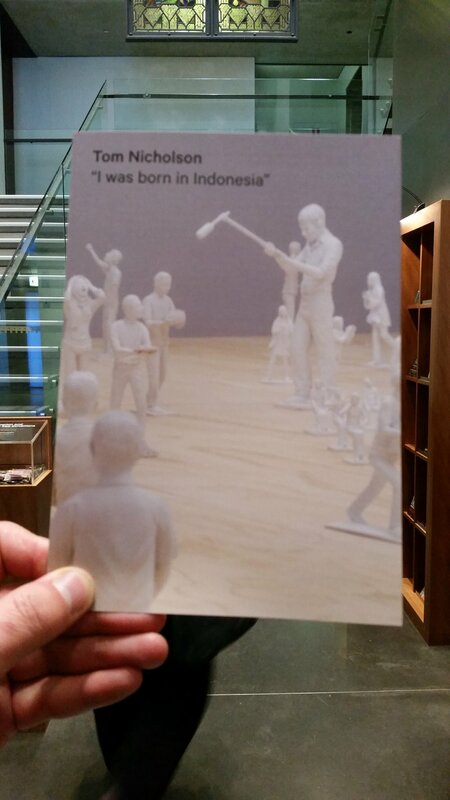 Yesterday Muzafar and I were invited to speak at the Ian Potter Gallery in Melbourne as part of Tom Nicholson's 'I was born in Indonesia' exhibition. 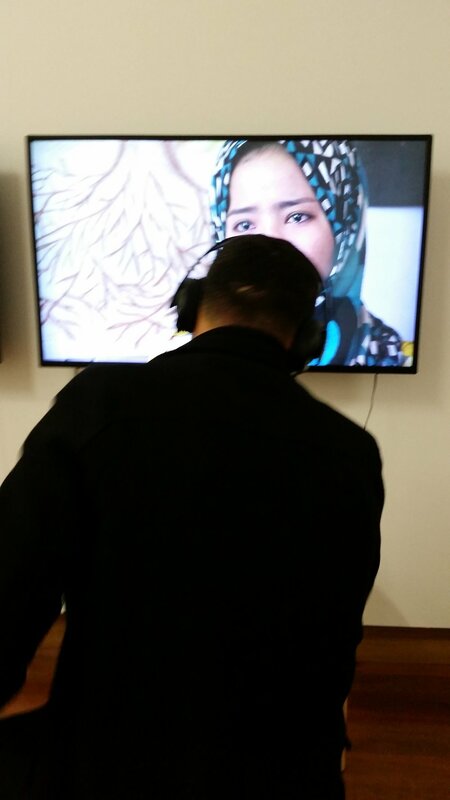 To walk into the gallery and see all our friends on the video screens took our breath away. I was taken straight back to Cisarua. 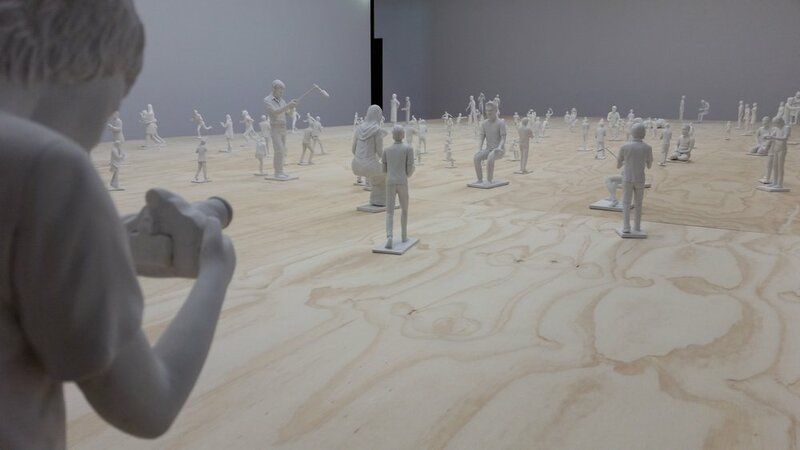 In the next room their lives and stories were played out over a giant diorama. 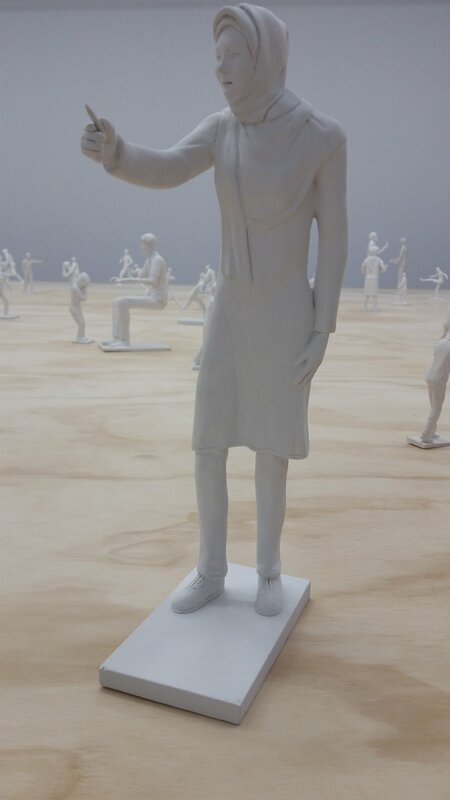 What a joy to see, recognise and feel all the spirits in the moulded figurines. One example. When Tom asked Farahnaz what she liked about Indonesia the most she said 'Hugs'. That their family hugged each other for the first time in Indonesia. 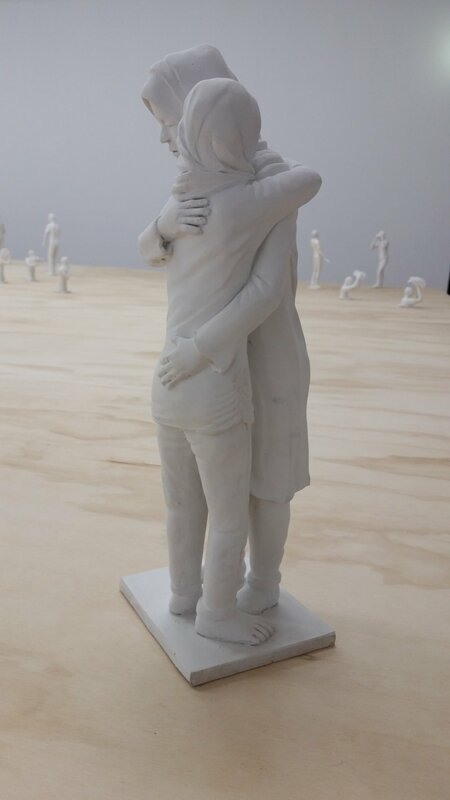 I love that the bravery of the refugees in Cisarua is spinning off in so many ways; artists like Tom creating powerful exhibitions and touring it around the country, Politicians visiting and entering Parliamentary Bills, Lecturers giving teacher training to the CRLC teachers, Journalists making news and TV reports. I just know it's going to continue and more people will join this movement. 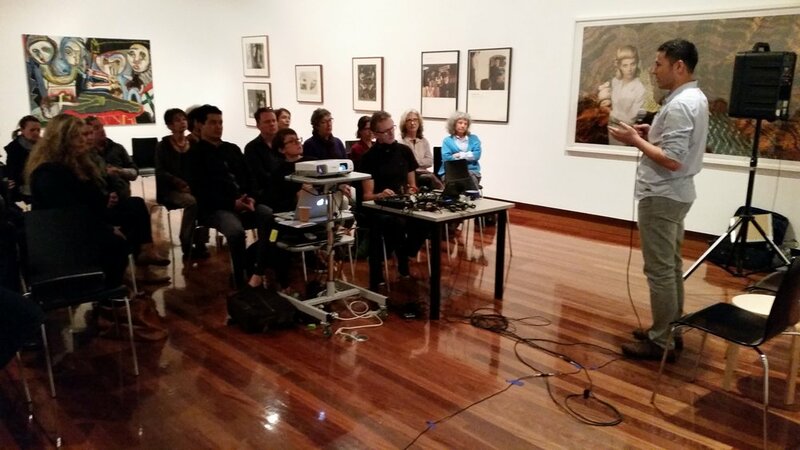 Thanks Tom for giving this special work and thanks to the Ian Potter Gallery for having us. 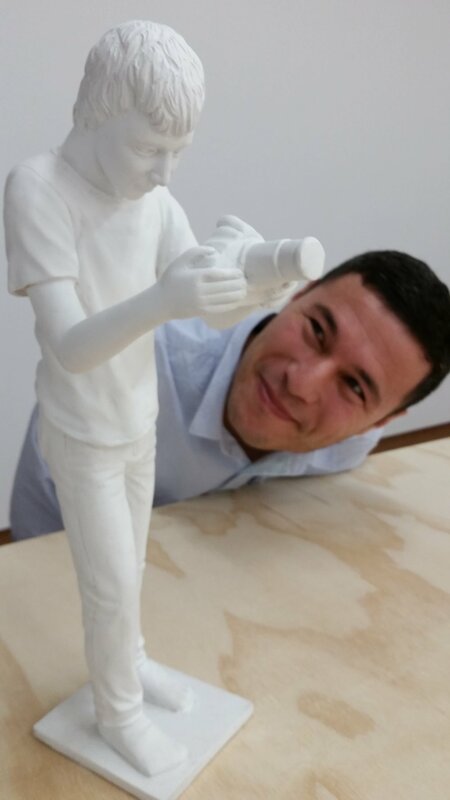 If you're in Melbourne go and see the exhibition. 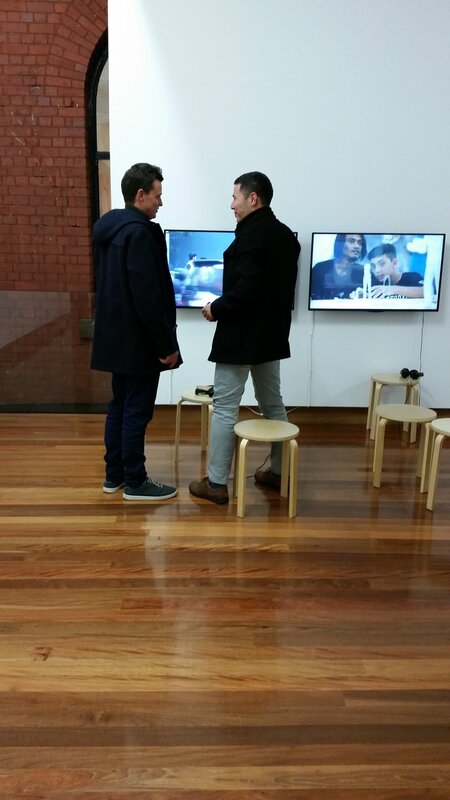 It's very close to the Melbourne Premiere of The Staging Post so make a day of it and visit the gallery too.